North West looks adorable in Kim's Snapchat as she sleeps with a unicorn hat on. 9. 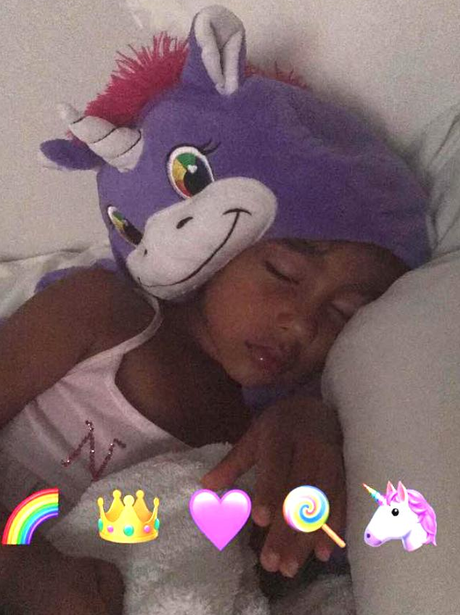 North West looks adorable in Kim's Snapchat as she sleeps with a unicorn hat on.